Located in stunning southwest Montana, Grey Cliffs Ranch is just outside of the lively college town of Bozeman. It’s proximity to town, being only 45 minutes, allows guests the convenience to a major airport (if you count a few gates as that), and take time to explore the historic main street district which is home to a variety of locally owned cafes, shops, outfitters, and galleries. The ranch’s focal feature though is the awe-inspiring mountains that surround it on all sides. These mountain ranges offer the most incredible backdrop to the Gallatin Valley’s rolling pastoral hills and crystal clear rivers. Not to mention adventure enthusiasts will be right at home with a myriad of options to explore nearby. Near to the ranch is the location where the movie classic, A River Runs Through It was filmed, and this truly gives one the feel for the beauty of the area. The rivers attract fly fishing professionals and lovers from all over the country, and Grey Cliffs Ranch offers the opportunity to partake in a few hours to a few days expedition. And if that’s not enough, perhaps the pinnacle of your stay will be a daytrip into Yellowstone National Park. The park is home to an incredibly diverse amount of wildlife, and it offers some of our country’s most stunning landscape and natural phenomena. 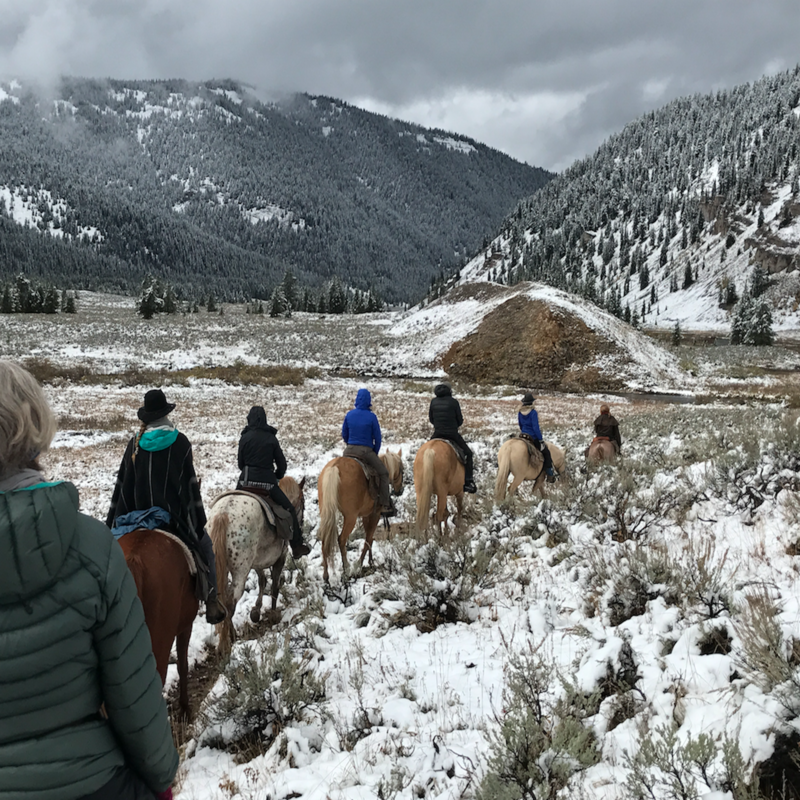 While on retreat you will experience the park first hand, or one might say first hoof, as we ride into the park on horseback for a full day trip. The vibe here in southwest Montana is both rustic and relaxing, and we hope you’ll join us as we adventure there this fall. Join Om On as we retreat in stunning and wild Southwest Montana. Check out more information on our Montana Yoga Retreats.